If you guys have been following my blog for a while, you'd know by now that camel is my favorite color. I have been waiting for fall to start wearing camel everything again. 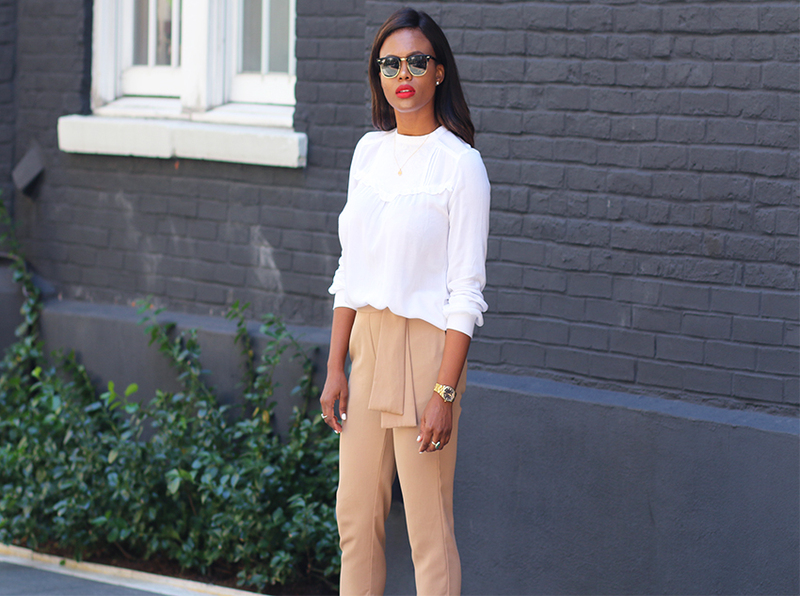 Today was a typical look of how I style camel pants. The default white blouse. I am keeping the If it ain't broke, don't fix it mentality.Neutral works well with neutral,it's always a win win. Whats your favorite fall color?